And the hits keep on coming at Mobile World Congress 2011. After all the rumours of the past few months, HTC are most definitely getting into the tablet computer market, with the HTC Flyer. 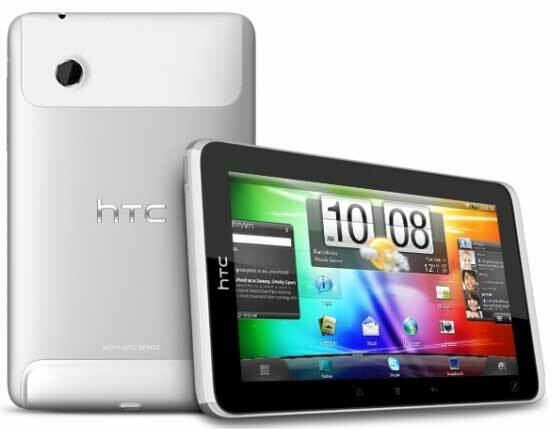 Out of the box the HTC Flyer will run on the Android Gingerbread operating system, with HTC claiming an update to the built-for-tablet Android Honeycomb soon after launch. With the new HTC Scribe Technology on the HTC Flyer tablet, people can rediscover the natural act of writing. HTC Scribe Technology introduces a wave of integrated digital ink innovations that make it easy and natural to take notes, sign contracts, draw pictures, or even write on a web page or photo. The HTC Flyer will have a global launch, sometime in the second-quarter of 2011. Pricing will be released closer to the launch date. Internal storage: 32GB. Upgradeable via microSD card.